Matt returns from DragonCon and fills John in on all the excellent panels and atmosphere from the Star Wars track. 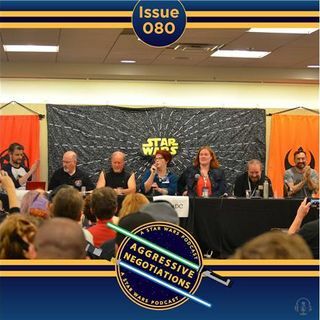 They discuss why Star Wars Phasma is resonating with fans, and present a recording of one of the panels Matt moderated at DragonCon, “Masculinity in Star Wars” with authors Timothy Zahn, Kevin J. Anderson, Claudia Gray, E.K. Johnston, Michael Stackpole and Myke Cole.